In retrospect, I wish the Wayfarer topsides crew had tried a little FSR on the tannin stains remaining near Gizmo’s waterline, because that was the only area where they felt obliged to use a compound with a heavier cut than the sample Ocean Armor Pro Maxi Finishing Compound, which otherwise “seemed to take away the oxidization quickly and gave a great substrate to the ‘wax’.” My service manager, Doug Woodbury, also reported that Pro Maxi polymer All Gloss sealer “went on very well and seems to bring a very nice sheen to the gelcoat surface.” I like how it looks, too, and 15.5 hours of labor to polish and “wax” Gizmo’s topsides seems reasonable, but perhaps the highest accolade was when Doug asked me to put him in touch with Ocean Armor, which is a brand-new contender in a field full of decent boat maintenance products. Meanwhile, there are many other surfaces on Gizmo that might benefit if I actually try the Pro Maxi line myself, and I’ll report here when I do. So Gizmo isn’t fully commissioned yet, but she’s at least looking good up to the toe rail. 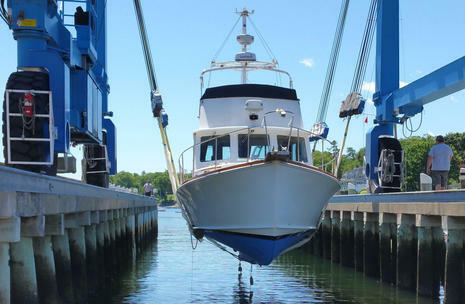 The schedule is long though — like 18 months in the water if all goes well — and she will be flying flags before the weekend is over. Here’s wishing all U.S. readers a great and boaty Memorial Day. Next story Navionics Boating app, now with free U.S. charts! Ben, we certainly hope you have better luck with the Eco than we are having with the standard Hydrocoat. 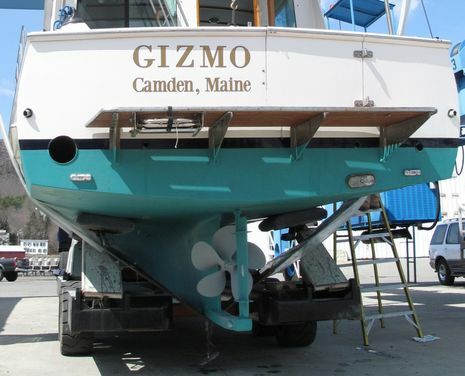 We applied Hydrocoat paint on the bottom of our Marine Trader 34 trawler while in the Chesapeake Bay. We traveled down the ICW to the St. Johns River and then on to southwestern Florida after crossing the Okeechobee Waterway. The boat has been in both fresh and salt water. 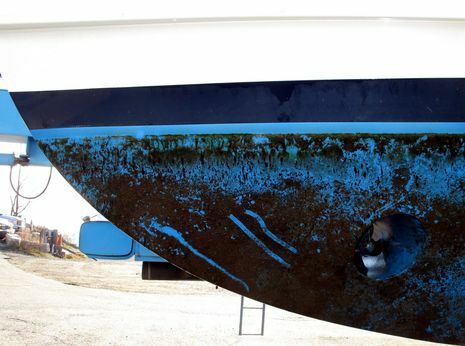 We are very, very disappointed with the results of the Hydrocoat. As an ablative paint, it seems to have no ablative properties. The boat has been underway almost constantly yet we have growth all over the bottom. We recently had to stop and have a quick haul done to get the bottom clean. We used the green color. 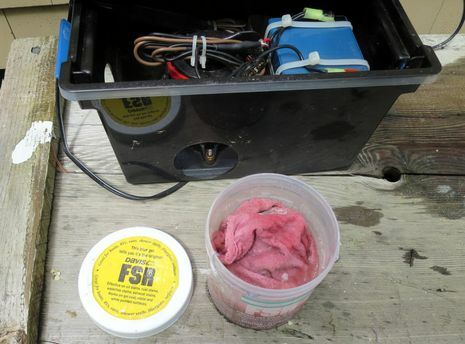 By the way, I started using “Captain John’s Boat Brite Scum and Waterline Cleaner” with great success. Its especially good at removing mustaches. 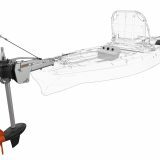 I switched to the standard Pettit Hydrocoat for my 36′ lobster boat 3 years ago and it has been great. Works just as well as the paint I previously used, but is much less expensive, easier to work with and much easier to clean up. 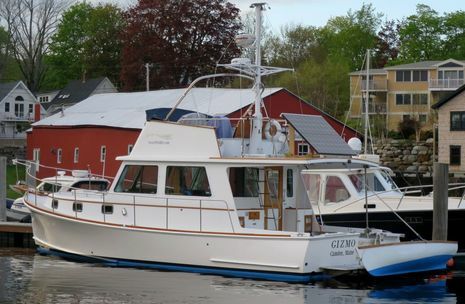 We keep the boat in Narraganset Bay for the beginning and end of the season and usually spend July and August in Maine. 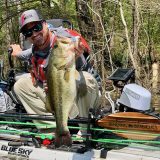 How does the Pro Maxi Finish work? is it anything like Poli-Glow sold at boat shows and online? Does it require roughing up the gel coat with a green scrubby pad before application? If so, I would be very careful since the track record for Poli-Glo is dismal to say the least. I’m always looking for a way to save a weathered and aged gel coat to put off a full paint job. 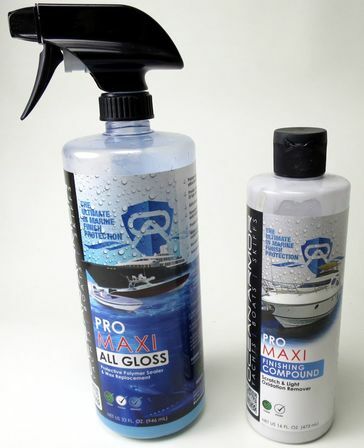 Hopefully Pro Maxi Finish is the answer. Gizmo looks great! Can’t wait I see how the Hydrocoat holds up. 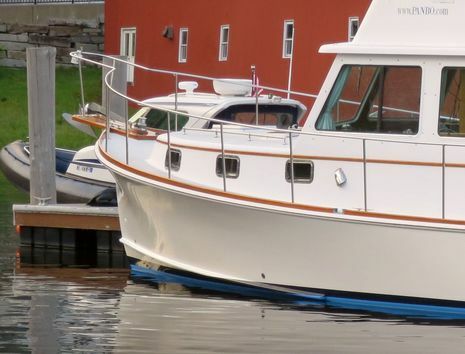 I’ve just done my bottom with Pacifica Plus for the second time as I was pretty impressed with its two year performance in the Chesapeake, but I’d love to use a water-based paint instead. I’m also trying Prop Armor (as a less expensive alternative to Prop Shield). It’s a sort of heat-n-apply silicone wax. Should be interesting. Anyway, ’tis a wonderful way to spend the holiday weekend; though I’d rather be sailing! Chuck, I’m curious which Hydrocoat you’re using, standard or SR (slime resistant) and what kind of fouling you’re seeing. I was told that Eco is ablative but harder than Pacific Plus, which will be a feature if it still keeps barnacles, mussels, and most slime off the boat. But then again I can get Gizmo going 18 knots from time to time, which may help with a harder ablative. It would be nice if the manufacturers of the various cleaning and polishing products had to publish the same level of specs as the paint companies do. 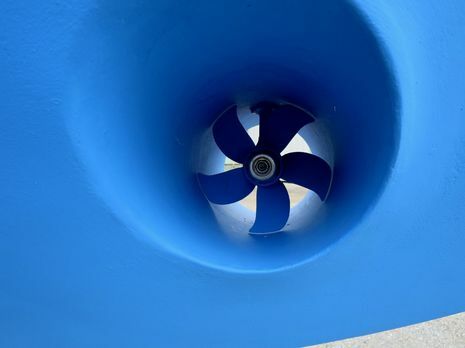 The standard Pettit Hydrocoat is a water based resin with good old cuprous oxide (copper) as the biocide and is rather highly regarded as an anti-foul. I’m going to stick my neck out and suggest that your poor performance experience with it may be due to a bad mixing job by those who applied it. Can’t count the number of paint cans thrown in the dumpster with all the good stuff still stuck to the bottom. Thanks, Bob, you may have a good point. I checked the “Material Safety Data Sheets” (MSDS) and, while a bit vague, regular Hydrocoat (and Hydrocoat SR) is 30-50% cuprous oxide by weight and Micron CSC 25-50%. 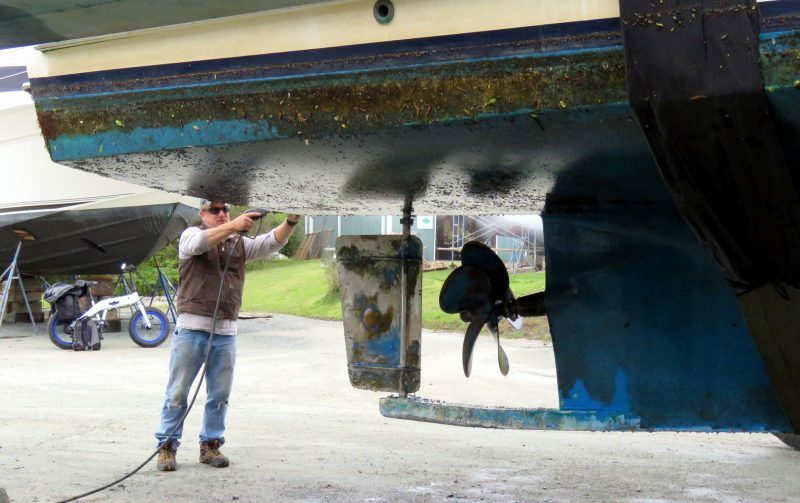 The amount of copper isn’t everything, I know, but I believe it’s important in a traditional anti-fouling paint. I’m very interested in the Ocean Armor products. Could you tell more about them? I’ve been using products from Sea Shield (www.Sea-shield.com) for the last 2 years to great success but I’m always on the latest and greatest. Here in CA there was an strong chance that all copper bottom paint would be banned. This threat has since dissipated, but it will come back again. In the meantime, I proceeded with trying EPaint’s SN-1 HP. 2) You got to take it out! Most of these bottom paints work by using the friction of the water movement when making way. The Valkyrie is a 60ft Sea Ray. The bottom line from your report and this is that copper-free paints can, and do, work! Any update on how Ocean Armor is holding up for you? Would you recommend it yet? So, how did the Hydrocoat Eco work out for you? 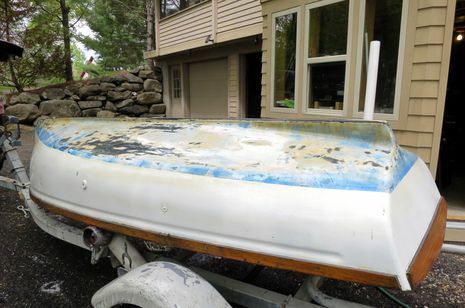 Your original post about painting the boat was in May of 2014. How did it look at the end of the season, or going into this season, 2015? Thanks. 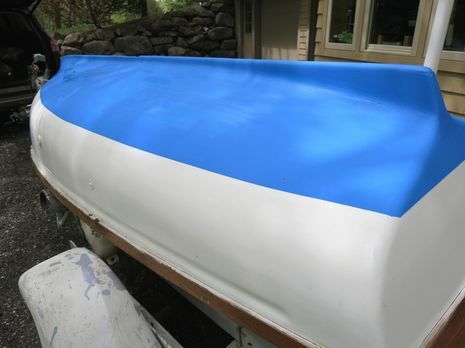 I know you were asking about the Hydrocoat, but thought I would mention that the EPaint I mentioned last May is still holding up well into our third season. I have EPaint on a “fast” boat. I don’t know how many coats were initially applied, but within a year I was seeing the epoxy paint below. I would make sure that you get a good number of manufacturer recommended coats applied. Good question, Jonathan! About 3 weeks ago I had a diver in New Bern, NC, check Gizmo’s bottom and he was impressed with the lack of hard growth after a year. No boat-slowing barnacles or mussels to deal with all. He was also surprised how clean the running gear was (and no zincs needed replacement). But he did scrubby off slime weed around the waterline, as I did with a long handle stiff brush last fall. The HydroCoat Eco didn’t do any better than the Interlux Pacifica with the slime, and it’s harder to clean because it’s less ablative than the Pacifica. 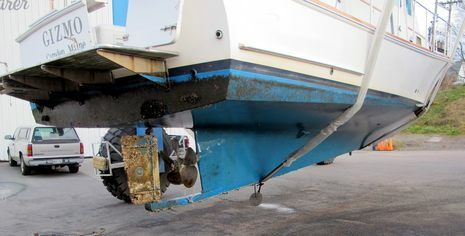 On the other hand, the HydroCoat has worn off right at the bow for about a foot, which the Pacifica didn’t. So maybe it’s a little more sensitive to hull motion? Overall I’m pretty happy. I’d like to see better slime protection but that’s about looks, not performance, and this is a fairly reasonable cost bottom paint with no copper, no prep required, and easy clean up (water based). 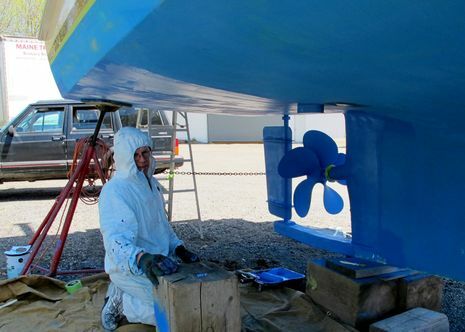 Weirdly, and like Pacifia, HydroCoat Eco has not done well in the Practical Sailor tests, which again makes me think that those tests are mainly relevant to southwest Florida waters and/or boats that stay put. I’m also pretty pleased with the Ocean Armor Pro Maxi All Gloss wax replacement. When washed, the topsides still have a fair bit of shine, especially for 15 year old gelcoat. Gizmo seemed to accumulate yellow stains faster than usual this year, and if the Armor Pro somehow abetted that, it wouldn’t be good. But I’ve twice now cleaned the yellow off with Marikate On & Off Hull/Bottom Cleaner (as good as Davis FSR for the yellow) and the Ocean Armor didn’t suffer appreciably. …and I think it might wipe the yellow hull stain off. Will experiment. 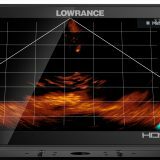 How do you find the gtechniq? I used carpro Quartz uk and reload on the top sides this winter and results are spectacular! It’s a bit expensive, but if the results last like I hope, it will be well worth it. Tim Hale mentioned using Gtecniq. It’s another brand of nano sealant. I’d heard some good about it but there was more on Quartz. I’m really happy with the carpro stuff. Black streaks wipe off dry, water spots are almost gone without drying, and bird poop washes off with water. The Quartz is a bit expensive. It’s about $60/50ml. It took me about 150ml for 2 coats on all my topsides including the hard tops. I think it would take about that again to do the hull, but if it holds up the whole summer, I’ll be doing it for next year! Diesel soot wipes off with just a wet cloth.